SOUTH FRANCE OFFICE :13 Avenue du 11 Novembre | 06600 Antibes. The French Riviera is the most interesting area around Mediterranean coasts, talking about yachting world. A beautiful coast, essential step for Vip and valued shipowners would like to spend not only holidays. Antibes, Saint Tropez and Nice are the most appreciated places, next to the “Queen”, Montecarlo. This let the birth of service companies and maritime agency in the area, especially for the company Main Raise , headed by Alessandro Macri and Alexander Tamagni, leader in maritime and airline industries. A new business world 15 years old with the aim of making shipowner’s life easier, from buying to selling a boat, setting up the best crew for chartering. “I was the captain of 40/60 meters yachts – Alessandro Macri says – I am able to share my personal experience in shipbuilding and charter services. And, before long I was starting to buy into marine industries. Previous studies have shown that Italy supplies about the 80% of the yachting world, but the yacht ( and their shipowners ) are still moving abroad for holidays. 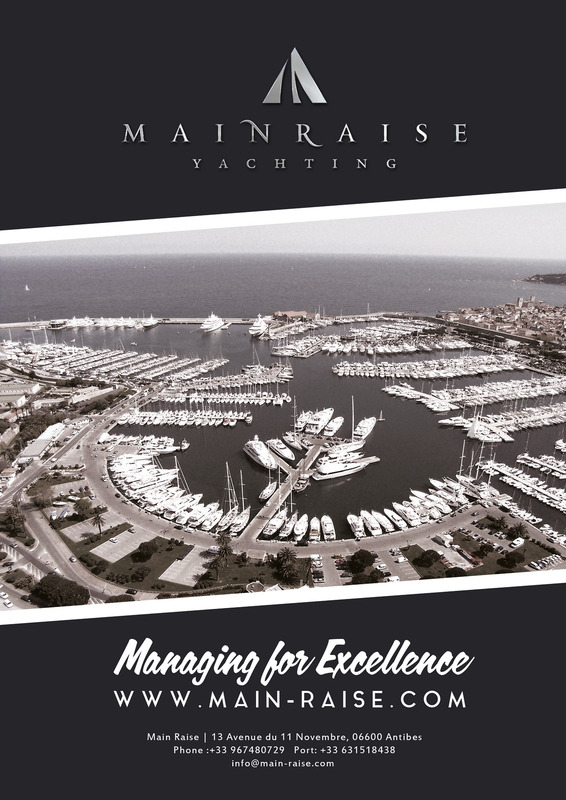 Starting from Antibes, we are trying to became a sort of “italian magnet in the French Riviera” keeping our promises, seriously and professionally with clients, improving the “incoming course” in Italy. A professional work and great attention to clients let us customise all of Main Raise services who, today, is able to guarantee protection to crew’s boarding contracts ( forwarding the crew about the Insurance ) suggest about the routes to charter brokers in order to improve the chartering.